With respect to numerous associated factors, the global sulfur recovery technology market has been thoroughly covered in the report. 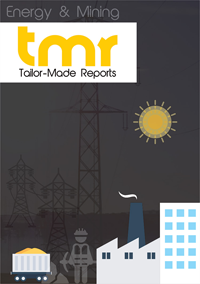 Various associated elements such as driving factors, prime restraints, competitive analysis, geographical outlook, and latest trends and opportunities, are comprehensively described in the report. The study compiled includes key historic factors associated with the global sulfur recovery technology market. The report also prognosticates the global sulfur recovery technology market to depict extensive growth that is expected to occur during the forthcoming years. Chief market dynamics associated with trends are also covered in the report. This market is mainly being driven owing to a rising demand for sulfur in various applications. Ranging from metallurgy and medicines to chemical plants and geotechnical investigations, knowledge about presence of sulfur and its extraction is highly necessary. Extensive geological studies also involve the study of sulfur present in specific regions, coupled by taking into account its formation under particular conditions, thereby driving the global sulfur recovery technologies market. Boundless innovations occurring in extraction of sulfur and its use in various industries is also responsible for making the market pick up notable pace. However, extraction of sulfur is highly expensive, which may make it difficult for new players and enterprises stand their ground against well-established companies having large capital. This factor has been marginally responsible for driving the global sulfur recovery market in recent times. Rising concerns about technical risks that might cause high losses to companies is also discouraging them from embracing newer technologies. However, this picture is soon expected to change with favorable initiatives offered by several governmental bodies all over the world to encourage the sulfur extraction processes. This market is mainly spread across North America, South America, Asia Pacific, Europe, and the Middle East and Africa. Of these, Europe and the Middle East and Africa holds a leading position in terms of maximum revenue gained compared to other regions. This is mainly due to ample amounts of sulfur deposits found in these regions, coupled with highly advanced oil and gas reserves existing, wherein high chances of finding sulfur are present. Companies working in this region are making rampant use of advanced technologies to detect and extract sulfur. However, many players are looking forward to establish themselves properly in Asia Pacific too, owing to existence of numerous places where sulfur extraction can be carried out. Thus, Asia Pacific is projected to depict a rapid development in the global sulfur extraction market during the forthcoming years. North America is expected to depict extensive growth too, thanks to the advanced techniques and methodologies being provided to international clients by well established players. This market exhibits a highly fragmented vendor landscape to exist mainly due to the presence of numerous players. Most service providers have formed a strong clientele base by developing exceptional sulfur recovery technologies. With widespread advancements prognosticated to occur in the global sulfur recover technology market, the competitive scenario is expected to intensify, as more players could make their foray in this field. Many companies are implementing prime strategies in the form of product differentiation, cost regulations, and extensive investments in research and development to maintain their standing in the market. Linde AG, GTC Technology, TechnipFMC, WorleyParsons, Prosernat, Fluor Corporation, KT Kinetics Technology SPA, Bechtel Corporation, Jacobs Engineering Group, KNM Group Berhad, CB&I, Royal Dutch Shell, Black and Veath Holding Company, John Wood Group, Chiyoda Corporation, and Exxon Mobil Corporation, are key players operating in the global sulfur recovery market.